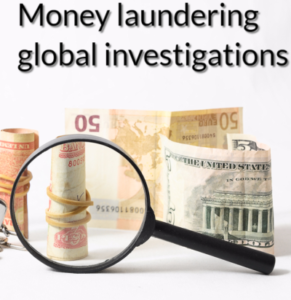 Money laundering investigations are often international in their approach and involve at their heart the sharing of private information between foreign states and law enforcement agencies involved in the prosecution of money laundering. The laws governing what information may be shared and the circumstances in which it is shared have not been the subject of judicial interpretation. The model that is presently utilised places little weight on the rights of those who are being investigated in multiple countries to know where and how information about them is being exchanged. 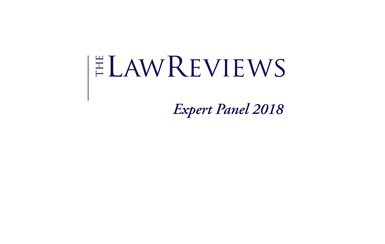 Often they face the real possibility of being exposed to multiple prosecutions and extradition requests raising significant challenges for the protection of their human and civil rights. This article looks at the type of information that AUSTRAC collect as part of their anti-money laundering mandate. Public information or information from public sources received by the AUSTRAC CEO does not become subject to secrecy, but rather, the analysis by AUSTRAC of such information is subject to secrecy. What is eligible collected information? ‘Eligible collected information’ is information obtained by the AUSTRAC CEO under the AML/CTF Act or any other Commonwealth, State or Territory law or from a government body. It also includes information such as that obtained during inspections of premises by authorised AUSTRAC officers, from external audit reports of reporting entities’ money laundering and terrorism financing risks which are submitted to AUSTRAC and information obtained by police or customs officers under the enforcement provisions of the AML/CTF Act. When will the AUSTRAC CEO authorise disclosure of AUSTRAC information? What is the function of the AUSTRAC CEO? to provide advice and assistance, in relation to AUSTRAC information, to the persons and agencies who are entitled or authorised to access AUSTRAC information including the Commissioner of the Australian Federal Police, the Chief Executive Officer of the Australian Crime Commission, the Commissioner of Taxation, the Comptroller-General of the Customs, the Integrity Commissioner or an investigating officer. What matters must the AUSTRAC CEO have regard to when performing his functions? To which foreign governments will the AUSTRAC CEO disclose AUSTRAC information? The foreign governments to which the AUSTRAC CEO may disclose information are not specified, however the AUSTRAC CEO will only make a disclosure where the appropriate official of the relevant foreign government has given appropriate undertakings in writing for protecting the confidentiality of the information, controlling the use of the information and ensuring that the information will only be used for the purposes for which it is communicated. These undertakings are set out in an information exchange instrument. What is an information exchange instrument? An information exchange instrument may take various forms, such as a memorandum of understanding or an exchange of letters. In addition to undertakings, they may also contain obligations imposed by AUSTRAC and cover such matters as security, integrity, privacy and protocols for communicating AUSTRAC information. They are entered into in good faith and not legally binding. AUSTRAC enters into a separate information exchange instrument with each foreign government agency which seeks access to AUSTRAC information. What happens where a foreign financial intelligence unit requests information on behalf of another agency from the same country? What happens where there is a request for information but no information exchange instrument is in place? Where the AUSTRAC CEO receives an urgent request for information in circumstances where no information exchange instrument is in place, it is referred to AUSTRAC’s internal governance committees or an Executive General Manager for the purposes of assessment and making a recommendation to the AUSTRAC CEO about the request.